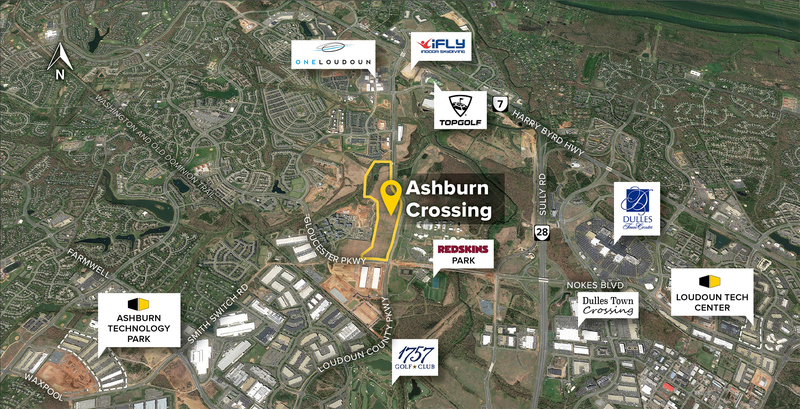 Ashburn Crossing includes 80 acres in the heart of Virginia’s hi-tech business corridor. On completion, the park will contain nearly 1 million sq. ft. of commercial space. The buildings will offer a unique combination of a professional office atmosphere and significant loading capabilities. Parking: 4 per 1,000 sq. ft.